Rolls-Royce Phantom Leaks Via Brochure 2018 ? At a first glance inside the cabin, one would be tempted to say we’re dealing with a case of déjà vu, but look closer and you will notice the Phantom VIII has what appears to be an all-digital instrument cluster - as seen in a spy shot from a while ago. In addition, the central air vents have been moved lower on the console in order to make room for the bigger infotainment screen, which remains hidden behind the panel. The analog clock has been repositioned as well and now sits to the right of the central display. Other noticeable changes include a new steering wheel with three glossy black spokes and a different arrangement for the physical buttons on the center console. 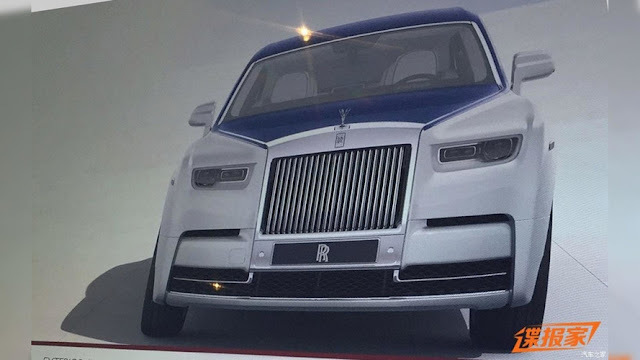 0 Response to "Rolls-Royce Phantom Leaks Via Brochure 2018 ?"